Thanks to our friends at Fabulous Films, we’ve got an all new collection of some of the best Sci-fi B movies ever made for you to get your mitts on. 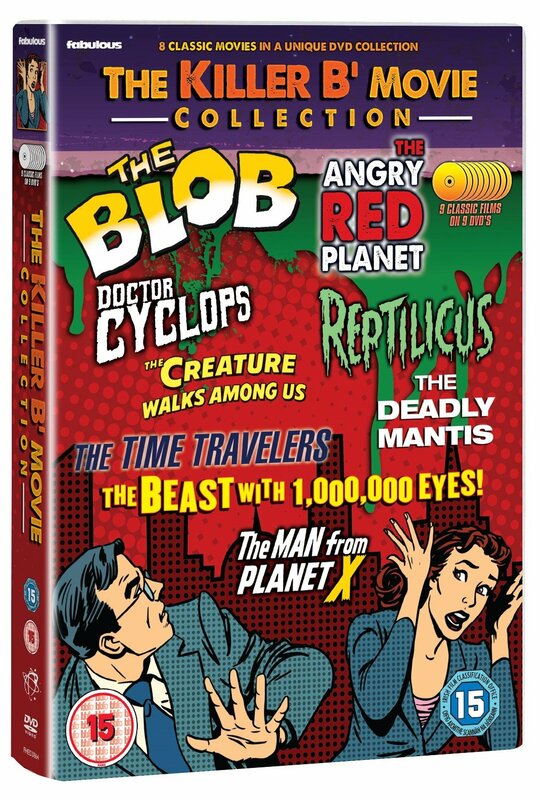 From Steve McQueen’s gooey film debut in the The Blob, to the monster movies The Deadly Mantis, The Creature Walks Among Us, The Beast with 1,000,000 Eyes and Reptilicus to the Sci-Fi adventures of The Man From Planet X, The Time Travelers, The Angry Red Planet and Doctor Cyclops. This 9 DVD set will transport you back to a different time in film-making, where big ideas did not need big budgets. How many Stars did The Time Travelers receive from Flickfeast back in 2011? Submit your answer via Twitter, Facebook or in the comments below. Winners will be announced on Monday 12th 0f February. Good luck!